Bring the garden with you, along with your essentials for the day, in this faux leather flap bag awakened by lively floral embroidery. Brand: TOPSHOP. 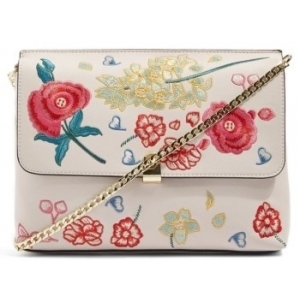 Style Name:Topshop Floral Embroidered Faux Leather Crossbody Bag. Style Number: 5442404. Available in stores.